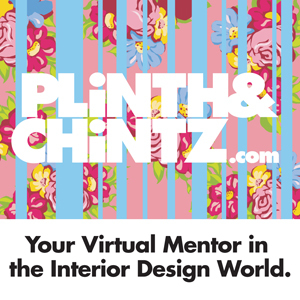 What is PLiNTH & CHiNTZ? detail the intricate interiors of a plush Gulf Stream jet? custom design light fixtures for a new over-the-top Las Vegas hotel? oversee the concept of a new chain of upscale themed restaurants? research biomimicry and develop new ways to save resources? space plan hundreds of thousand of square feet of a corporate headquarters? and in Shanghai, no less? With a design degree, some talent, and a lot of inside information, the possibilities are endless. Our goal is to demystify the industry and entertain while we educate and connect you to the interior design community. We want to open up a world of career possibilities in interior design so that you can decide whether or not the design world is for you, and – if it is – provide you with the background to pursue a fabulously satisfying and envious career. Who should read PLiNTH & CHiNTZ? 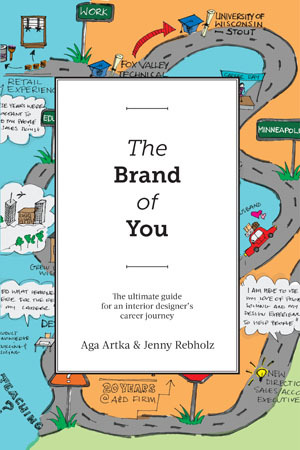 person considering studying interior design: Before you make the big leap, broaden your knowledge of the field by learning about the diverse breadth of careers within our crazy industry. We’ll fill the informational void between the do-it-yourself channels & mags and the industry publications mainly directed toward seasoned professionals. Someone needs to do it – why not us? student already studying interior design: When you take your morning vitamin, supplement your design education by learning some new lingo, finding out about new products you can incorporate into class projects, and reading about real-life issues tackled by real-life designers. We’ll show you the real world, baby. new design graduate: Whether you are looking for a job or you have just landed that entry-level position, you will want to sound smart and stay informed. Maybe you don’t get invited to see the latest & greatest the manufacturers’ reps have to offer over cookies & candy. Let us keep you up-to-date on the newest stuff so that you can impress your new employer and/or your employer-to-be. educator in the design field: You can’t do everything, right? You only have so much time in your hectic day and so many resources in your shrinking budget. Let us help by filling in some gaps and providing your students with information you just don’t have time to cover in class. Then maybe you’ll actually have a little time to practice your craft. design professional: You get inundated with big, gorgeous, glossy design mags and run out of time even to open them. Not only can they be a little pricey, but they’re expensive to store and can read a little serious. Take a breather and enjoy a few teaspoons of humor and sassiness with your morning coffee, and see which of your colleagues has contributed their real-life experiences to give hope to a struggling design student. Who knows? You just might be next. Why the silly name of PLiNTH & CHiNTZ? Why not? It’s fun to say, and you sound smart saying it. You probably know what chintz is (thank you Mario Buatta! ), but do you know what a plinth is? What about an escutcheon? Or a rheostat? Or what about the terms value engineer or field verify? Well, explore the site and find out. There’s so much to know, and there’s a lot you don’t know, but we want to teach you. That’s what we’re here for. We’re just nice that way. Just who came up with the idea for PLiNTH & CHiNTZ? Laura McDonald Stewart is the woman behind the curtain. She’s the Founder, a Registered Interior Designer, and a Connector of people, and if you click here, then you can find out way more than you probably wanted to know.